The heart-rate monitor in the Apple Watch can also diagnose an irregular heartbeat. Apple Watch can accurately detect atrial fibrillation, a serious heart condition that is a leading cause of stroke. This advanced feature remains in testing. However, a new medical study offers proof that wearables can do far more than simply track fitness. In fact, they could actually keep the wearer alive. The Health eHeart Study, coordinated by University of California, San Francisco, asked users of several types of smartwatches to download an application that looked for atrial fibrillation: irregular, often rapid beats of the top two chambers of the heart. The study engaged 9,750 volunteers. Of those, 347 participants said they had already been diagnosed with this medical condition, which affects 34 million people worldwide. The neural network correctly diagnosed atrial fibrillation with 97 percent accuracy in 51 patients undergoing treatment for the condition at the university. It proved less accurate for those who self-reported having atrial fibrillation, finding that 72 percent of them had the condition. Of course, it’s possible people in this group were mistaken about having the problem. A similar study using the Cardiogram app on Apple Watch returned similar results last year. 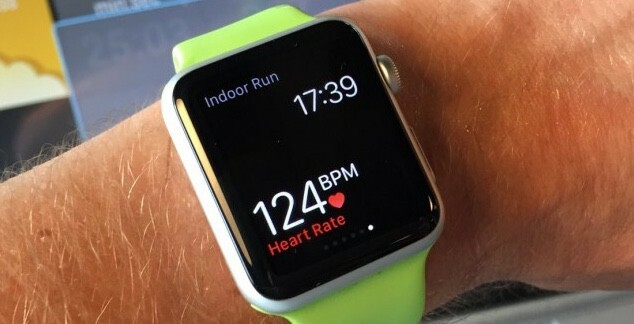 And the Apple Heart Study, a collaboration between Apple and Stanford Medicine, is also looking into “how technology like Apple Watch’s heart rate sensor can help usher in a new era of proactive health care,” according to Lloyd Minor, dean of the Stanford University School of Medicine. But Apple Watch’s health potential doesn’t stop there. It can detect diabetes, a disease that often goes overlooked, with 85 percent accuracy. And specialized Apple Watch accessories can expand its capabilities even more. For instance, an Apple Watch strap called KardiaBand can detect dangerous potassium levels without drawing blood. The best part is that Apple Watch is relatively affordable and fun for people to wear on a daily basis. The fact that it can help diagnose serious heart problems is a great bonus feature. These types of findings should encourage more people to try a wearable. In that same vein, Apple should add blood-pressure monitoring to the iPhone.